A Parallel Modernity. 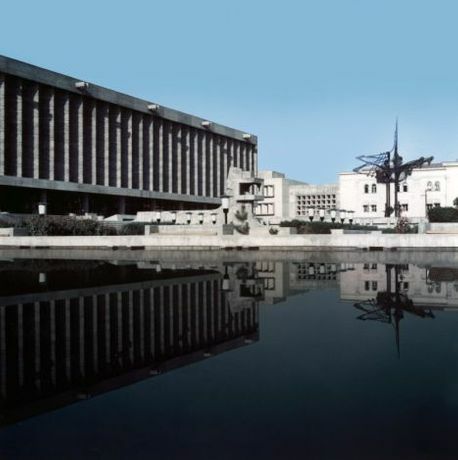 Soviet Architecture 1956-1991 is dedicated to the legacy of post-war Soviet architecture: to its masters and its specificities, its original styles and erratic buildings. In the course of the late 1960s and during the 1970s, there was a paradigmatic shift. Under Brezhnev, the lifestyle of the whole Soviet society had become Westernised. This could be seen in every day life and in the rush for Western commodities, but also in the decline of communist ideologies of a notion of community that architecture and urbanism responded to with singular typologies – from the pioneer camp to the houses of creativity, from the circus to the wedding palace. The then leading modernist architects continued to build in the International Style and bore the responsibility for monotonous giant housing developments. Policies of industrialization that were heavily promoted by economic planners resulted in far-reaching social consequences. Megalomaniac urban extension projects, catering for up to 100,000 inhabitants, were built throughout the Union. In the same turn the public space was filled with monuments depicting Soviet ideology. 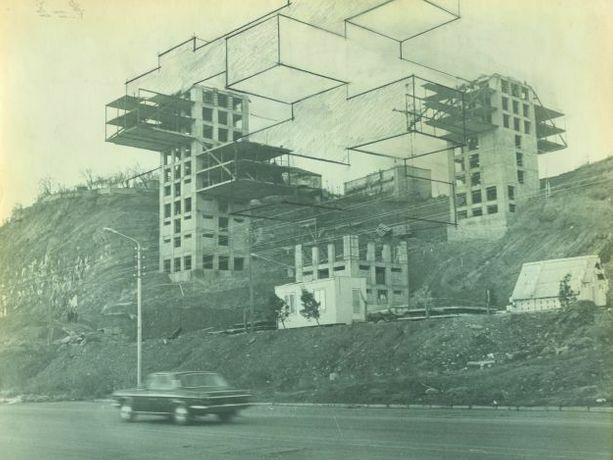 At the end of the decade, the neo-functionalism of the early 1970s was followed by an appellative post-modernism in which the tendency towards petit-bourgeois and national counter-affirmation as a dissociation from the megalomaniac gesture and the ideological bias of Soviet architecture became visible. The perestroika movement of the critical and deconstructive “Paper Architecture” reflected this decline in their artistic utopias. A Parallel Modernity. Soviet Architecture 1956-1991 is dedicated to the legacy of post-war Soviet architecture: to its masters and its specificities, its original styles and erratic buildings. It aims to offer a glance at a still existing void in the canonical history of architecture. A Parallel Modernity is generously enabled by IRIS Foundation and Garage Museum of Contemporary Art.